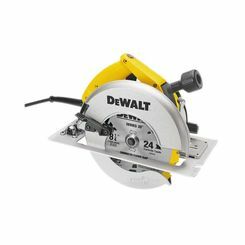 Dewalt DWE575 Lightweight Circular Saw, 120 V, 15 A, 1950 W, 7-1/4"
Take advantage of our great prices on circular saws here at PlumbersStock. 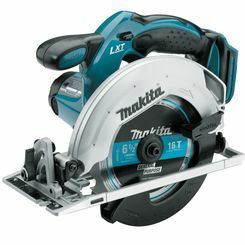 When you need a power saw that makes straight cuts, but allows you to work free-hand, a circular saw is probably your best option. 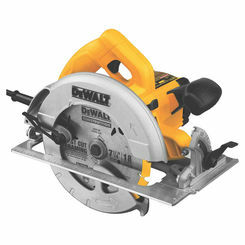 If you just need replacement circular saw parts, we have those too. 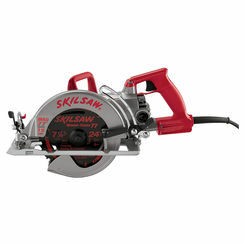 This power tool is useful in a wide variety of applications, and you can find it at discount prices, right here at PlumbersStock. 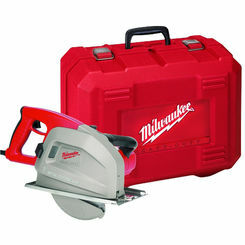 We carry Milwaukee, Ridgid, and Greenlee saws so that you get your preferred brand at a price you can afford. 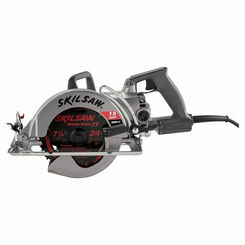 There are many types of circular saws, but they all have one thing in common which is that they make straight cuts through a rotary motion that spins the blade around what is known as an arbor. 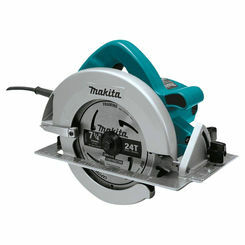 Circular saws work by turning a round, flat blade at high speeds. 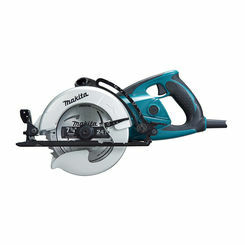 With a handheld circular saw, the user can easily cut through wood, metal, or plastic, depending on the blade. 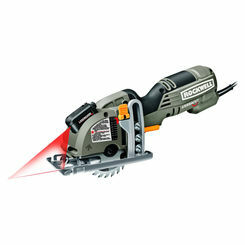 At PlumbersStock, we carry both corded and cordless saws, so make sure you get the configuration you want. 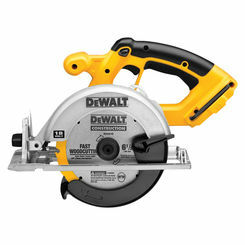 Clean it Out after Use – Circular saws will need cleaning, especially after heavy use periods. An unused paintbrush can help you dust off any sawdust, or a can of compressed air will also do the trick. 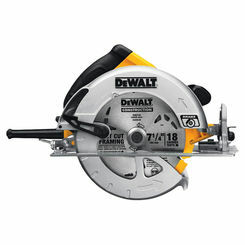 This will prevent your blade from acquiring any debris and prevent it from getting clogged. 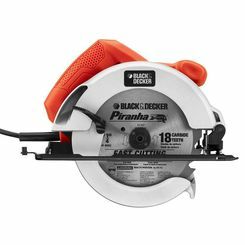 Sharpen or Replace the Blade as Necessary – To keep your circular saw working like new, you’ll need to replace or sharpen the blade as it dulls. 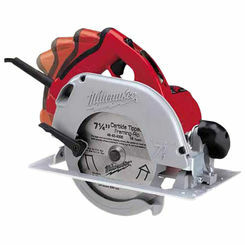 Better-quality blades often come with the option of being professionally sharpened, while less-expensive blades will need to be replaced over time. If this doesn’t sound convincing enough, think of it like this: a sharp blade is a safe blade. 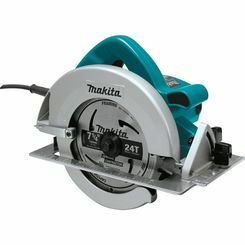 Check the Cord – If you’re using a corded circular saw, you’ll want to periodically check the cord for any abusive wear or cuts. Wires poking out are signs of danger and mean your cord needs to be replaced, but smaller nicks here and there can quickly be patched up with some electrical tape. 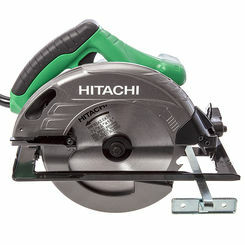 Accidentally running your hand down the cord while the saw is on can give you quite a shock—literally. Another rule of thumb? Don’t carry your saw by its cord. I can assure you your saw will not like it. 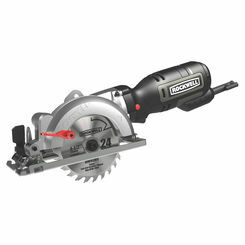 Lubricate – As wise a safety rule as any other, your circular saw needs to be properly lubricated in order to prevent overheating. If the oil level in your saw is low, top it off. 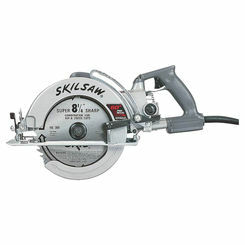 Saws low on oil will cause the machinery to wear at itself, tire the motor, and shorten the tool’s lifespan. Use the Proper Protection – Eyewear, proper clothing, ear wear, and push sticks all enhance your safety and will allow you to saw another day.  Don’t take this responsibility lightly—a potential glitch in your saw could result in lost eyesight, injury, or loss of limb without the right protective gear. 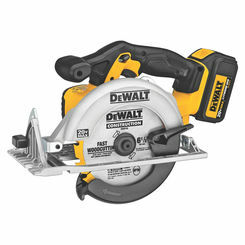 Check the “Shoe” – Your circular saw’s shoe is the plate you use to set the saw on whatever you’re cutting. This surface should be free of any gnarled metal that can snag on the material. If you notice some rough edges, smooth it out with sandpaper. 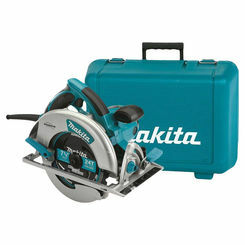 One of the best power saws to have in your arsenal of equipment is the versatile circular saw. 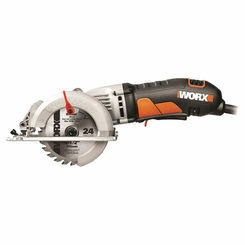 While this tool can create those straight and curved cuts, it’s best used for freestyling on the wood or material. 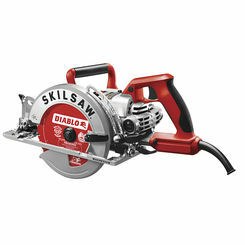 Lightweight and portable, this tool is a good companion to have if you need to create an asymmetrical pattern or design. 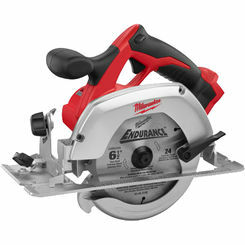 PlumbersStock offers circular saws from three top names: Milwaukee, Ridgid, and Greenlee. 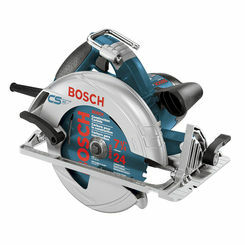 Save big when you buy with us and find out for yourself why so many others choose to shop with the tool experts.